The last few days, I have been checking out garden related materials like paver patios, Mediterranean style and fragrant flowers. After trying my hand in planting vegetables last year, I decided to stop doing so this year. So now I need ideas to spruce my garden with whatever flowering plants I have left. I am planning to rearrange and repot some of the plants into better looking containers in an attempt to have a Mediterranean style garden. However since the space where I could put all the plants is really limited I have to take that into consideration as well before I do the makeoever. Most of the flowering plants need direct sunlight but my yard has a porch that covers 3/4 of the space from the sunlight, sigh! 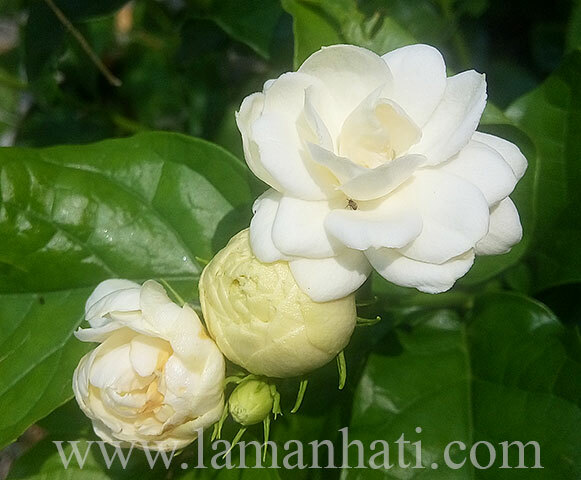 So far I have 5 healthy roses, 2 bougainvillea, dwarf gardenia, hydrangea (been waiting for it to start blooming) and a few pots of jasmines including Duke of Tuscany like in the first picture above. 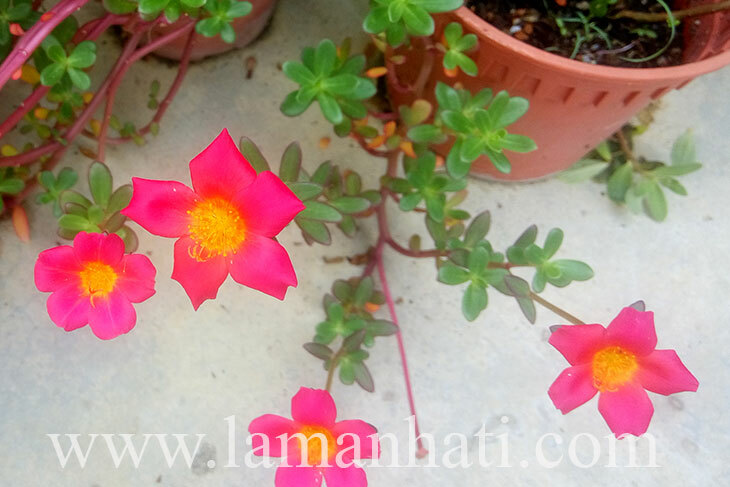 I have been trying to plant colorful portulaca every now and then, hoping I could arrange them on planters nicely, but with the rainy season now most of the plants are not thriving well. The pereskia bleo plant is also blooming vigorously with bright orange flowers every day now, which is quite a surprise for me since last year it only bloomed like 2-3 times the whole year. Must be the fertilizers it gets from the compost bin I put beside the plant, heh! As much as I am tempted to get more new, healthy flowering plants, I decided to take the challenge to reinvigorate those that I already have in the garden. 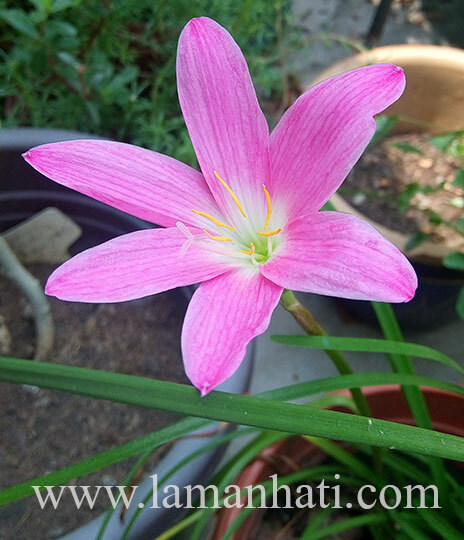 Maybe I could plant more rainlily (Zephyranthes) bulbs since the flowers are so lovely. I have pink, yellow and white in one container for now. After writing down this garden makeover plan, I feel more motivated to start doing so. Will update more once there’s any progress. I hope it’s still not too late to wish everyone who happen to come to this gardening blog, a new year wish! 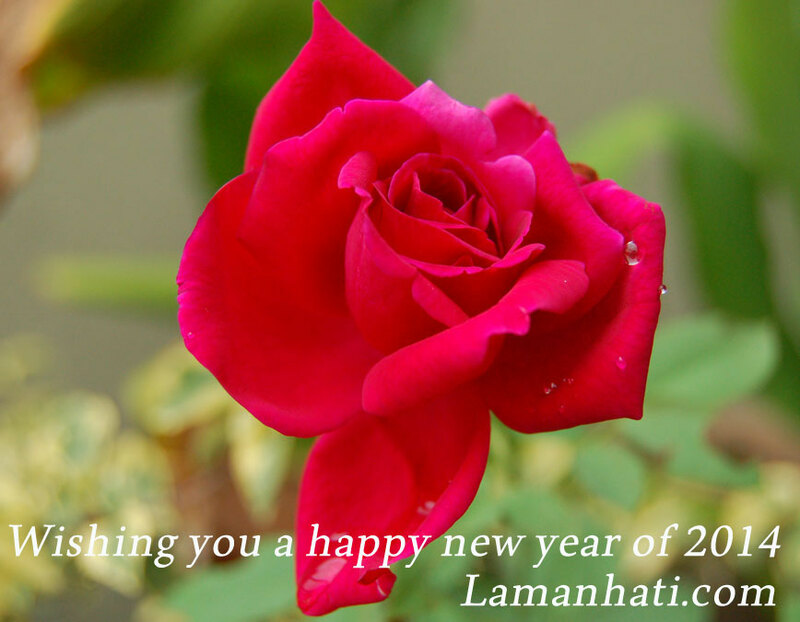 May your garden will be flourished with blooms and bountiful of harvest in 2014! I have decided to stop planting flowering plants and try edible gardening. About 2 weeks ago, I bought labu manis or pumpkin from the nearby pasar malam to be cooked sayur air. Since I have to remove the seeds, I thought why not try to plant them in soil. 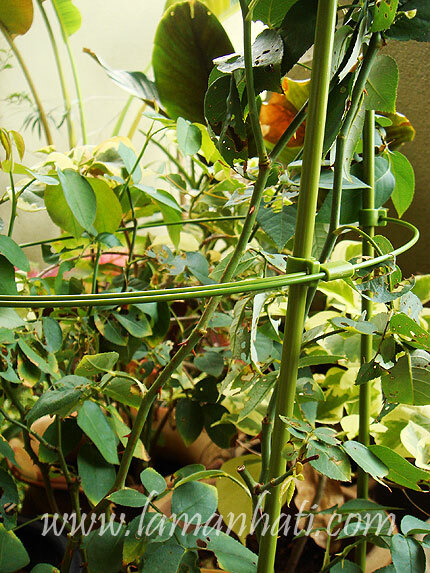 After all I have so many empty pots after the roses decided to die on me 4 months ago..huhu! Look what I found after 5 days. Never thought the seeds will sprout so soon since I’ve read that they usually take around 7-10 days to sprout. 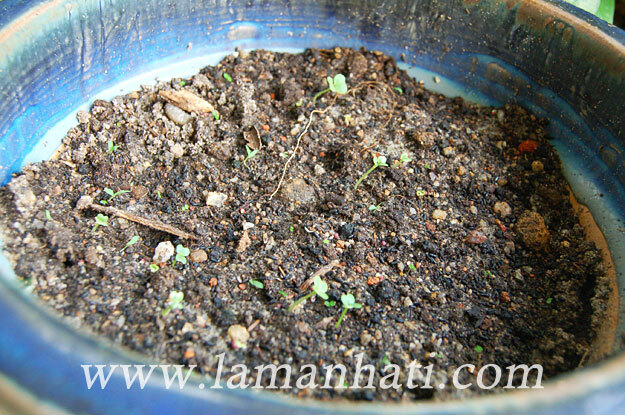 Then I decided to plant the seeds of sawi bought from tanamsendiri.com in February 2013. Look what I found after 2 days. I just hope most of the sprouts will continue to grow. I can’t wait to cook sayur sawi tanam sendiri..haha! 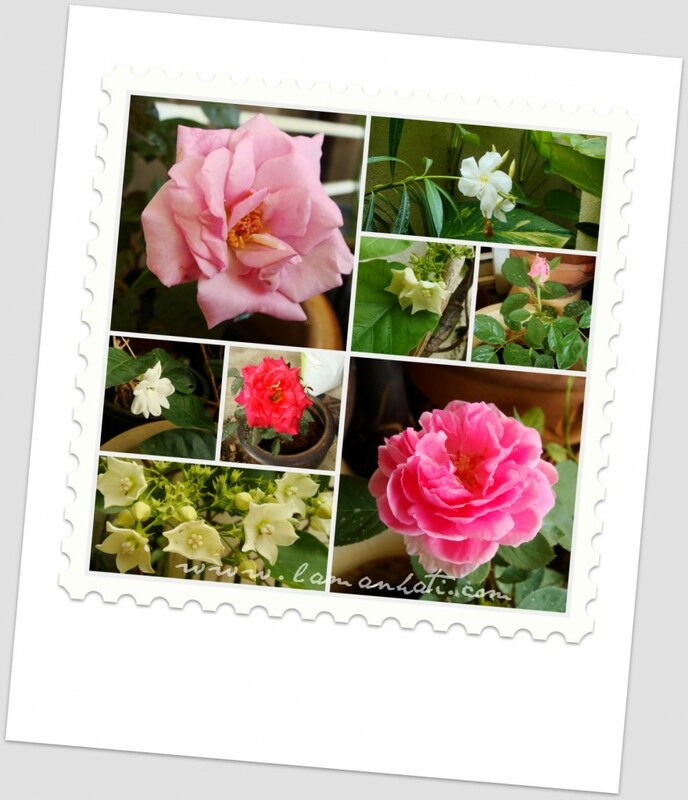 If you have been reading this blog, you will notice that for the year 2012 I have decided to plant roses. 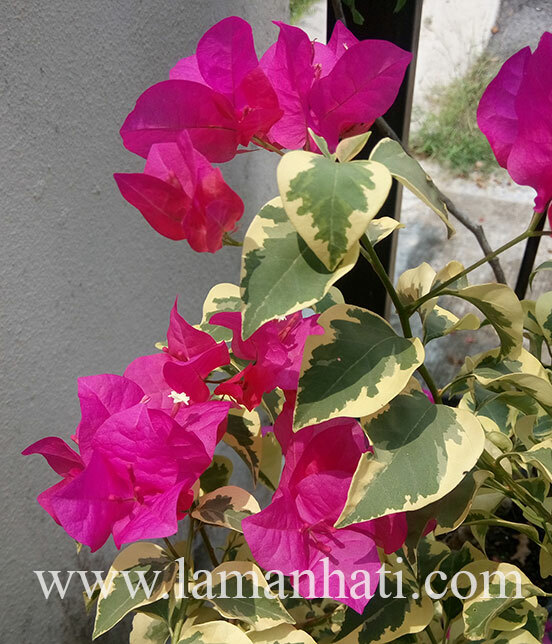 When I first embarked on this new hobby, I didn’t know that roses need abundant direct sun light on daily basis. So I made a grave mistake of putting those rose plants under shaded area. Now after almost 3 months, they are still recuperating. For now with the limited space in my front yard, I can only afford to place about 10 rose plants in pots. That’s the only spot where they can get 6-7 hours of full sun daily. I do imagine having a large rose garden in the future. 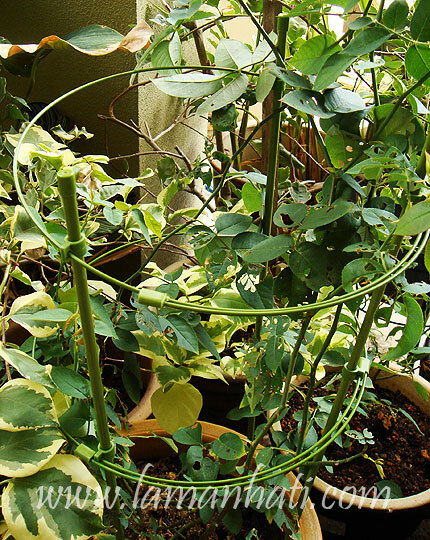 By that time I could plant some on the ground and let the climbers grow up the pergola. I am also thinking of paving some of the spot with stones, to make it like a small patio where I can sit and enjoy the blooming fragrance of the roses. I would love to have my patio paved with antique cobble or weathered stone. Oh, if you have access to the leftover of paving stone (after house renovation or driveway make over), please don’t throw them away. Those paving stones are also great for border for your rose garden plot. The natural paving stone is also great to represent the earth energy element in Feng Shui design. Finally after a long delay, I have spent some time to spruce up my small garden. It was a great thing to see some improvement made to the abandoned plants and the small space in the yard. I repotted some plants, moved some to the ground instead of being in pots for years. I uprooted the wedelia and planted grass. The cempaka putih (michelia alba) which has grown almost 6 feet in the pot has been moved and planted outside of the gate. I also added roses into my collection. Not sure whether they will grow well with me, just wait and see how I can handle them..hehe! I’ve edited these pictures since July but until now I completely forgot about them because I don’t know what should I call this plastic materials that I bought to contain the rose plant from creeping around..sigh! I tried to Google the picture but so far, what I found is that the closest gardening tools that serve the same purpose are called obelisks. So call it obelisks for now until someone can tell me what’s the actual gardening terms for it. I bought this plastic “container” at Daiso for RM5. The rose plant that I have seems to be growing (or rather creeping) everywhere, up and right and left, so I thought I need to do something to make sure it stays in a safe spot. The thorns are very, very sharp and I have to be extra cautious now that I have an active toddler at home. So far this plastic obelisks has been functioning well. Even SIL is interested to get the same stuff to contain her plant. Should I Repot The Cattleya? 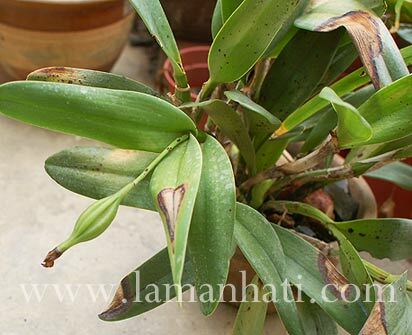 I am wondering whether the cattleya (that had sunburned leaves and now recovering) should be repotted? 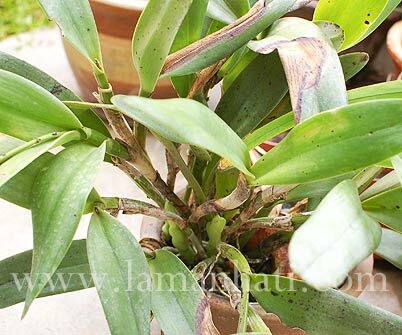 Potting is necessary when the rhizome of the plants protrudes over the edge of the pot or the potting medium starts to break down and drain poorly (usually after two to three years). It is best to repot just before new roots sprout from the rhizome, after flowering or in the spring. 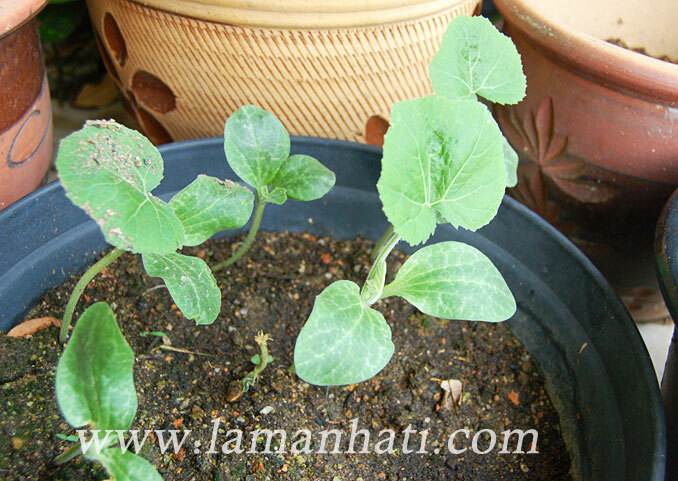 Mature cattleyas are usually potted in coarser potting material than are seedlings. Until a plant has at least six mature pseudobulbs, it generally should be put into a larger pot and not divided. If dividing a plant, three to five pseudobulbs per division are required. Select a pot that will allow for approximately two years of growth before crowding the pot. Pile mix against one side of the pot and cut off any dead roots. 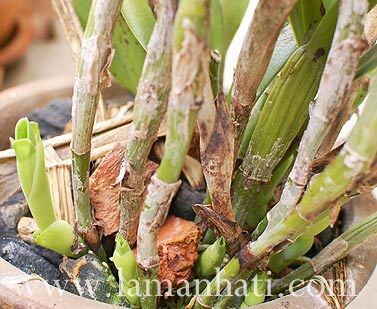 Spread the firm, live roots over the pile, with the cut rhizome against the side of the pot. Fill the pot with medium, working it around the roots. Pack firmly and stake if necessary. Keep the plant humid, shaded and dry at the roots until new root growth is seen. 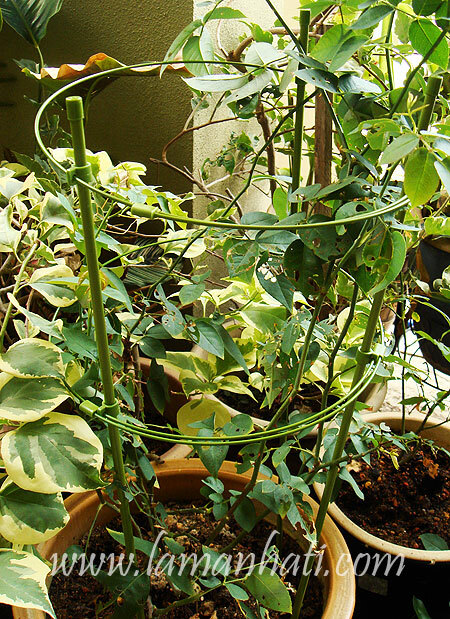 Hmm…now I wonder when will I ever get the time to repot the plant..huhu! Do You Have Lawn To Maintain? Do you ever wish to have lawn that is spacious enough for you to have all kind of gardening and plant your favorite greens? In my current home, the lawn that I have is so small that I could only grow 2 x 10 feet cow grass on it..huhu! But for those with ample space of lawn, do you know how to mow your lawn? Check out the video shared as it could help you save some money by doing the job yourself. Previously in our rented house, we hired a freelance lawnmower to do all the hard work once a month. Actually I used to mow the lawn every now and then using a mini handheld lawn mower, but after some times it just become such a hassle for me to do the work. A lawn mower with brand such as Black & Decker is a great investment for those eager to maintain their own lawn all year round. The video shared above is designed for homeowners and includes a variety of useful tips. It shows how to prepare your lawn and mower for mowing. It gives tips for mowing, edging and trimming to give your yard a well manicured look…something like a professional gardener does! It also demonstrates how to maintain and store your mower. I hope one day I would be able to live in a house with a big, great lawn and drive a lawn mower to mow the lawn every morning like Forrest Gump did in the movie..haha!